Regular readers will know that I love trying new foods and ways to improve my health. So when Epsilon.Life asked me if I would like to try some of their health supplements I couldn't wait to give them a go! In the past I have had problems with my mental health and am on prescribed medication for depression. When the winter months come I often feel worse. Not just in my mood but in my general well being. The sun is not out, the days are grey and dreary and it really does play a huge part in how I feel. So when I was asked if I would like to try some vitamin D3 I really was curious to see if they could make a difference. Vitamin D3 is the vitamin that is produced in the body from direct sunlight. Therefore when the winter time comes and the hours of sunlight reduce the amount of vitamin D3 in our body reduces. This is a vitamin that can only be found in small amounts from food so the sunlight really does play an important part in our health. Vitamin D3 deficiency can lead to a number of ailments such as the softening of the bones and a poor immune system. The tablets from Epsilon.Life are so tiny and easy to take. 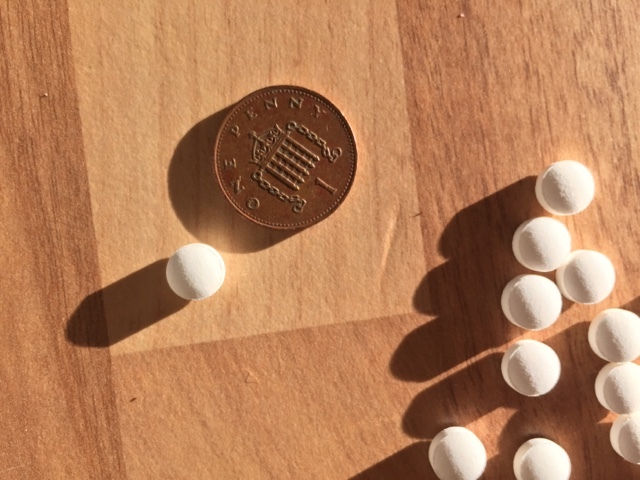 They come in a dose of 1 per day and each tablet contains 2500% of the recommended daily allowance. I have been taking the tablets for nearly 2 weeks now and have felt that my mood has been better than usual. As I have only been taking them for two weeks I cannot tell you the long term benefits that I have felt but I will be continuing to take them. 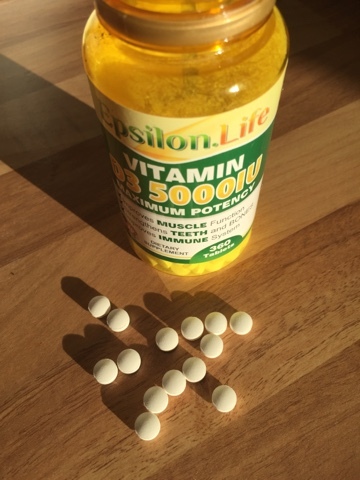 The tablets are literally sunshine in a pill! 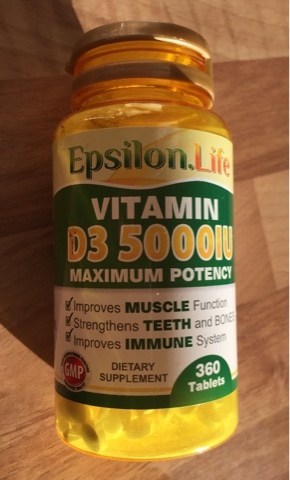 Epsilon Life are a well established food and vitamin supplement brand who up until recently have been trading via Amazon. However they are starting to branch out onto their own website. At the moment they have got some fantastic new year offers on. So if you are planning to take extra care of yourself and your body this new year pop over and grab a bargain while you can! Disclosure: I was sent the vitamins for the purpose of this post. No cash payment was received. All words, views and opinions are my own and 100% honest.